It’s time to tell you all about the “big plans” I’ve been alluding to for a while…. WE’RE GOING TO THAILAND!!! The Husband and I leave in a few days and I’ll have a whole lot to write about when we get back, so stay tuned! We’re back, baby! The long, dreary winter and all its nasty wet weather is finally over! Spring has sprung, and with it, a new adventuring season for the Spritz Club. 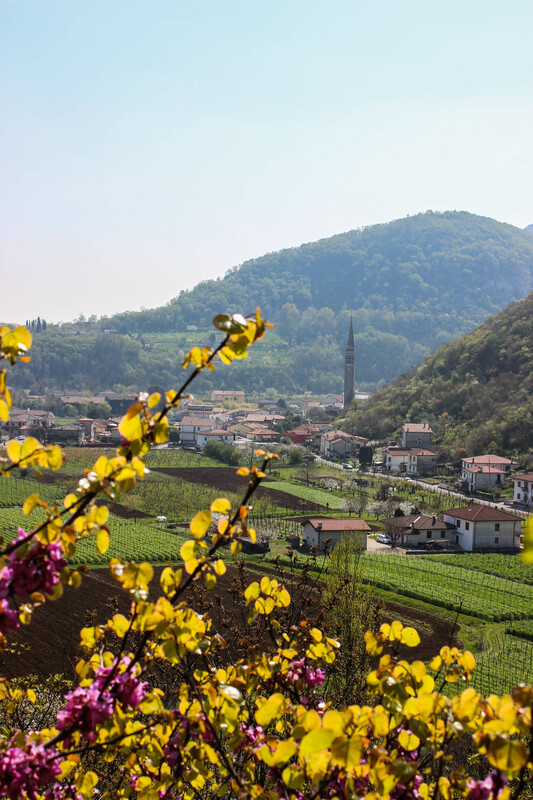 We kicked things off with a trip to Marostica, a town that has been on our to-do list since the beginning. Marostica is small and about 40 minutes north of Vicenza, at the foot of the Dolomites. It’s built on a very steep hill and surrounded by a stone wall with a castle at the bottom, and another small castle at the top. I was told that you can walk on castle wall – unfortunately that is not true, but it was well worth it anyway. It’s a peculiar town, but easy to fall in love with. This entry was posted in Hiking, Italy and tagged castle, Chess, hiking, Italy, Marostica, scenery, travel, views. Bookmark the permalink.